My year of rereading continues, although I keep getting (or letting myself get) sidetracked from the rereading. 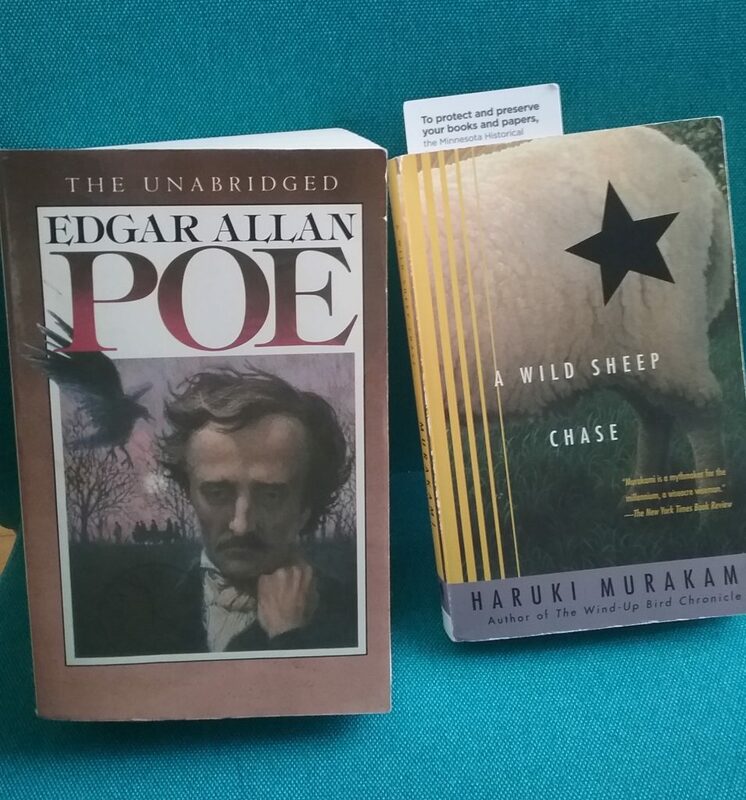 “A Wild Sheep Chase” by Haruki Murakami – Okay, I just started this book last night. I found this and another book by Murakami in a thrift shop and they looked intriguing, so I purchased them. So far, I am not disappointed by “A Wild Sheep Chase.” I’m enjoying Murakami’s writing style and the story he is building. In case you’re wondering how I can possibly remember what I’ve read, I don’t usually remember books spontaneously. I do, however, keep a list of books I’ve read and have been doing so since the end of 2003. I only have a few pages left in the book-reading journal I’m keeping, so soon I shall start filling a new one.